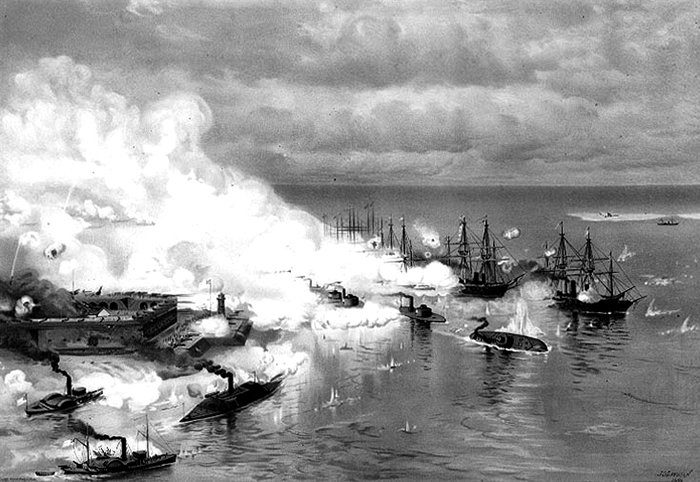 A print of Battle of Mobile Bay ... Passing Fort Morgan and the Torpedoes, painted by J. O. Davidson in 1886. The scene depicts the sinking of the ironclad USS Tecumseh. Confederate ironclads Morgan, Gaines, and Tennessee approach from the left, and Union ironclads Manhattan and Winnebago approach from behind.